Located in Paharganj Area, OYO 3196 New Delhi Railway Station is at a walking distance from the railway station. Jama Masjid, Fatehhpuri Masjid, Jantar Mantar and Ugrasen ki Baoli are located at a short distance from the hotel. 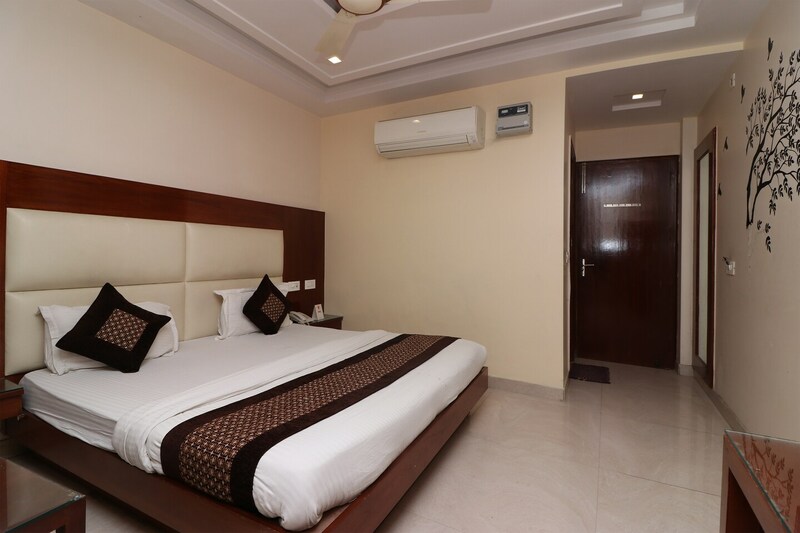 The hotel rooms are well-equipped with basic amenities like TV, AC, free Wi-Fi, television and geyser are covered. The hotel provides elevators, power backup and CCTV camera-based security to all the guests. Amrit Kaur Market, Chawri Bazar and Chandni Chowk are some of the market located close by the property.